Join us for a fabulous day of shopping and fun. 10:00 a.m. - 2:00 p.m.
'Monograms and Mimosas' begins at 10:00 a.m. with the debut of The Art of the Monogram. Tasty treats and monogrammed fun will be the theme of the day. Stop by to meet Cynthia, see the book and scoop up new Lilly essentials for the holidays. BOOK SIGNING/NOVEMBER 24 1 - 4 p.m.
Stop by to meet Cynthia, see the book and monogram new Lilly essentials for the holidays. BOOK PARTY AND SIGNING/DECEMBER 7 1 - 5 P.M.
Monogrammed fun will be the theme of the day. Stop by to meet Cynthia, see the book and get Lilly stockings personalized as a gift with purchase. The Art of the Monogram will inspire you to take home Lilly stockings personalized as a gift with purchase. Tasty treats and monogrammed must-haves will be the theme of the day. Stop by to meet Cynthia, see the book and get your holiday shopping done with Lilly Pulitzer. Rise and shine! Join us at 9:30 a.m. and bring your holiday shopping list. 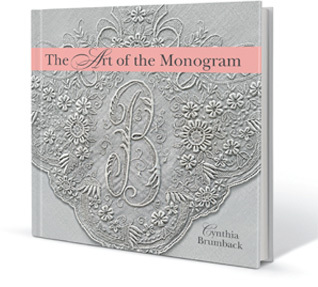 The Art of the Monogram makes a perfect gift. Proceeds will benefit the Orlando Museum of Art through the Council of 101. BOOK LAUNCH PARTY AND SIGNING/DECEMBER 14 11 a.m. - 2 p.m.
'Monograms and Mimosas' begins at 10:00 a.m. with The Art of the Monogram. Stop by to meet Cynthia, see the book and get Lilly gifts for everyone on your list. Tickets available by calling (407) 896-4213 x 254.